The 2019 Subaru Ascent is a full-size crossover SUV that offers seven or eight seats. Having a similar body and platform, the 2019 Kia Sorento is a crossover SUV that accommodates up to seven occupants. The legendary BOXER engine and Lineartronic CVT give this Subaru tremendous capabilities on and off the road. When you check out the following Ascent vs Sorento review, you'll also be impressed by Subaru's Symmetrical AWD and the EyeSight safety technology. 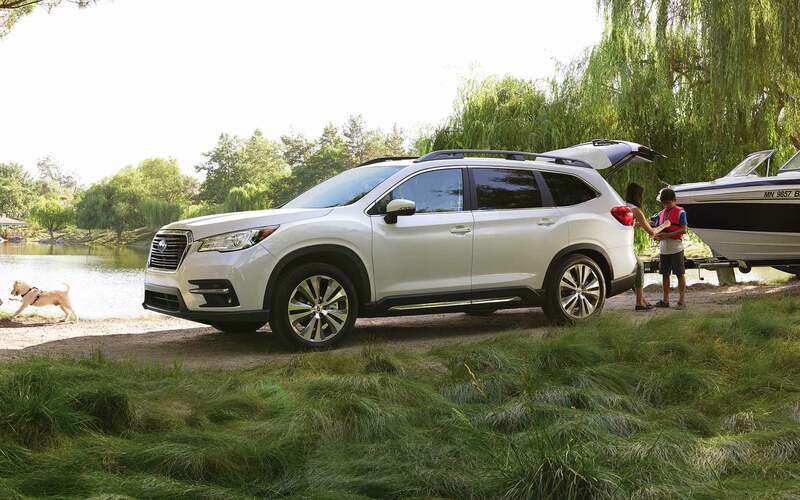 Running on the trademark BOXER mechanism, a 2.4 L turbocharged engine is standard under the hood of the 2019 Subaru Ascent. Four cylinders in a horizontal configuration distinguish this compact powertrain from a traditional engine block with an inline design. When it reaches threshold levels on the tachometer, the BOXER unit yields up to 260 horsepower. This turbo engine offers a peak torque output of 277 pound-feet. Standard in the 2019 Kia Sorento L and LX trims, the 2.4 L engine is naturally aspirated. This entry-level powertrain isn't capable of generating more than 185 hp and 178 lb-ft. However, the other Sorento trims come with a 3.3 L V6 engine that kicks out 290 hp. Despite having six cylinders, this much larger powertrain doesn't deliver more torque than the BOXER engine. As you do an Ascent vs Sorento comparison, remember to analyze other mechanical features. For example, a Boulder Subaru dealership offers information on the Ascent's conventional towing capacity of 5,000 pounds. By contrast, the best-equipped Kia Sorento can't handle a towing load that exceeds 3,500 pounds. Some of the trims are only designed to tow up to 2,000 pounds. 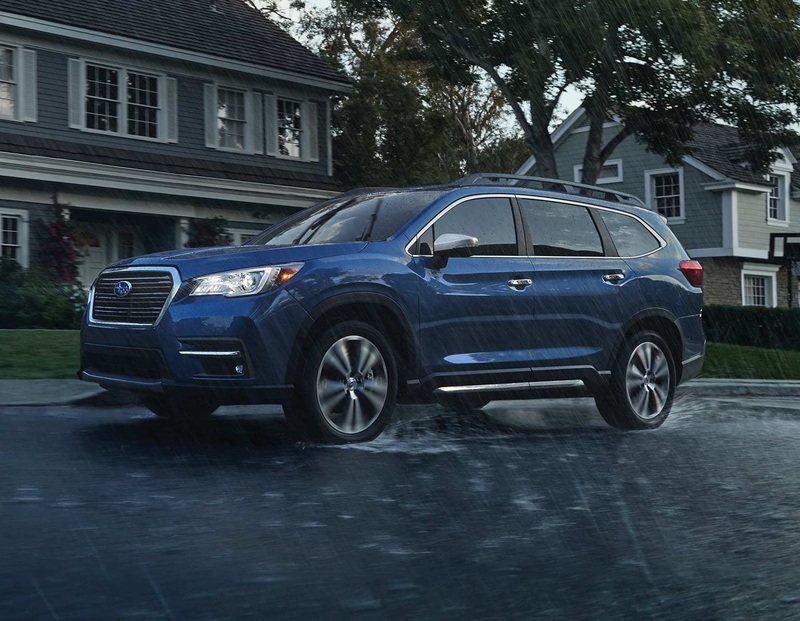 Every 2019 Subaru Ascent model is equipped with a legendary continuously variable transmission (CVT) system that runs on the Lineartonic technology. In addition to generating infinite gear combinations, this signature CVT has other advanced features and custom modes. For example, the Auto Vehicle Hold is reserved specifically for keeping the wheels locked in place during a shift from a parking setting to a driving gear. The Lineartronic transmission also offers eight manual modes that are controlled by paddle shifters. With some input from the Adaptive Control, you'll get good leverage for handling this versatile Subaru crossover SUV. The 2019 Kia Sorento rolls on an automatic transmission with six or eight gear ratios. Each trim comes standard with the signature Sportmatic Sports Shifter that facilitates gear changes. However, this automatic transmission doesn't have as many custom modes as the Lineartronic CVT. A review of the Ascent vs Sorento must include details on other handling capabilities. Subaru's X-MODE is a cutting-edge technology that makes subtle adjustments to the powertrain and transmission to boost performance. This smart feature reduces the potential for wheel spin and liftoff on rough and slippery surfaces. A Subaru dealer in Boulder will also talk about the Symmetrical All-Wheel Drive (AWD) that's engineered to tackle various terrains. As the name suggests, this drivetrain maintains perfect symmetry in the torque output for the rear and front wheels. The Vehicle Dynamics Control compensates for G-forces and other external stress that may lead to instability. A Boulder Subaru dealership also provides details on the Ascent's Traction Control System, which improves handling on roads and trails that have low friction. Available in the 2019 Sorento LX and above, the Dynamax AWD offers good handling on different surfaces. This AWD is paired with a locking central differential and the Torque Vectoring Control technology. Nevertheless, it's tough to beat the dynamic off-road capabilities of the Subaru Ascent. This model has an 8.7-inch ground clearance that will surely help you explore remote settings with harsh terrains. 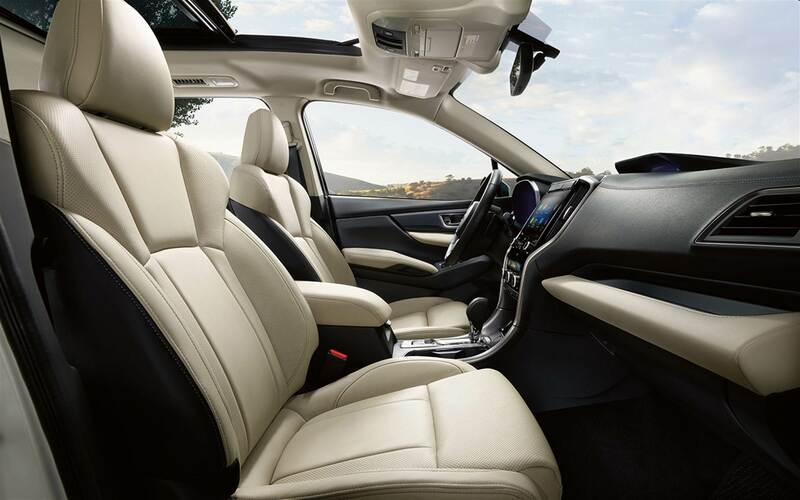 Serving Boulder Longmont Fort Collins, Flatirons Subaru offers technical specifications on the safety features of the 2019 Ascent. This crossover SUV is equipped with the standard EyeSight Driver Assist package. Capable of applying full braking force, the Pre-Collision Braking can prevent a high-speed crash. Do you want to enjoy a pleasant commute in this Subaru? Then let the Adaptive Cruise Control take command of the steering and powertrain. If necessary, the cruise control will automatically reduce the speed based on the risk level of a forward crash. Customers in Boulder will also embrace the Sway Warning that enhances the traditional Lane Departure Alert. Are you worried about unintentional lane drift on a busy highway? The Lane Keep Assist will reduce such concerns. By scanning the area directly behind, the Reverse Automatic Braking can stop the Ascent just in time to avoid a collision with another car or mobile object. A high-resolution camera lenses also records videos when this Subaru moves in reverse. You can see the live images on the STARLINK multimedia system. An all-new, forward-facing camera lens is available in the Ascent Touring. Whether you're in distress after an accident or the vehicle experiences mechanical failure, the STARLINK Safety and Security is ready to help. This signature suite includes more than 10 features, such as the SOS Emergency Assistance and Diagnostic Alert. The Kia Sorento also offers several impressive driving aides, like the Forward Collision Avoidance and Driver Attention Warning. However, some of the trims are not available with such advanced accident-avoidance technology. The standard EyeSight Driver Assist is tough to beat. 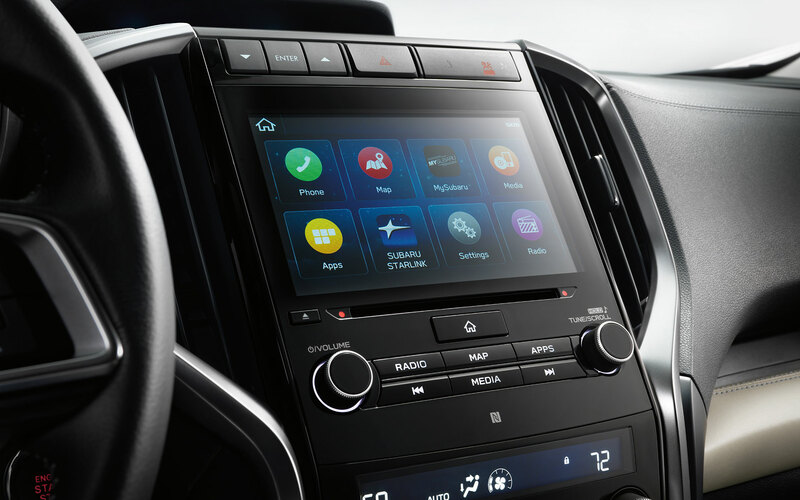 Serving Boulder Longmont Fort Collins, Flatirons Subaru offers online quotes and other information on the 2019 Ascent. Contact our dealership in the Boulder area today to reserve a test drive in this premium crossover SUV that's packed with class-leading technology.